LG has just marked a new milestone in the world of the third dimension, introducing the world's first 3D smartphone. 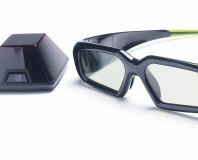 Called the LG Optimus 3D, the device is based on a 3D lentiucular screen, which generates a 3D effect without the need for glasses. This method of creating a 3D image is similar to that used by the forthcoming Nintendo 3DS console, and while it can’t make images appear to pop out of the screen, it does add a degree of depth to images. The phone will also come equipped with a pair of cameras, enabling you to take and view 3D images and video on the phone. However, we’re not sure what would happen if you wanted to share your video with someone unequipped with a similar 3D smartphone. To power all this 3D finery, the phone comes equipped with a 2GHz dual-core processor. It's also the first phone we've seen that takes advantage of a technology you may be more used to seeing on desktop PCs - dual-channel memory. 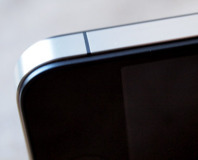 LG claims that this enables the Optimus 3D to deliver framerates and performance above that of its competitors, even when using its 3D technology. However, while this all sounds very flash, it's also difficult to get excited by it. We've been fairly outspoken in our distrust of 3D technology here at bit-tech. We've tried the offerings from all the major players in the area and been consistently unimpressed by nearly everything we've seen. LG appears to be aiming the Optimus 3D squarely at early adopters and mobile gaming enthusiasts, but is 3D gaming on the move too big a leap? Is there even any need for a 3D mobile phone? Let us know your thoughts in the forums. We take an in-depth look at 3D gaming to see if it can improve your skills. 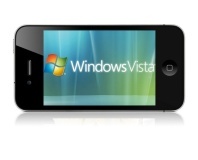 Microsoft's COO has compared the iPhone 4 to Windows Vista, due to major issues at launch. The problem has been identified and verified, but it's really nothing to get worked up about.